Modern news media broke down in less than two decades, no time at all compared to the hundreds of years of journalism preceding it. News delivery is a highly competitive business, with truth often taking a back-seat to timeliness. Sensational, ‘click-bait’ headlines—once the sole domain of low-rent tabloids—are the new normal. Americans love junk news as deeply as junk food. The media is a mirror, and damn, is that reflection ugly. Gaze into the media mirror and see the ever-changing face of politics, journalism, and American justice in this collection of more than 50 award-winning essays. 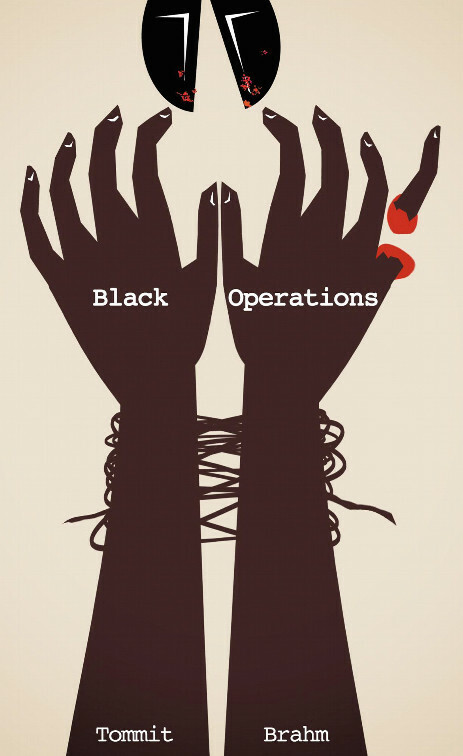 $4 digital edition (mobi) READ FREE WITH KINDLE UNLIMITED! Why is there an epidemic of dead Tangerian politicians just before the coming election? Agent Shawn Harrison’s mission to brave the foreign interests and local cut-throats in search of the cause leads him to cross paths with a rogue agent from his own department, as well as a beautiful and dangerous woman. Our Great Abbess blends historical fiction and religious horror to tell a compelling tale of cloistered nuns in a secluded mountain abbey, under siege by starvation, disease, marauders, and internal sabotage. On November 8, 2016, a “Man of Stone” savagely attacked a quiet law office in rural New Jersey. 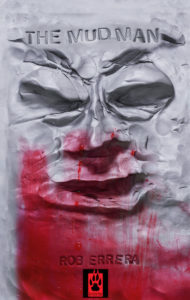 Ten people were brutally mutilated and murdered, the killer was never caught, and the legend of the Franz Rock Monster was born.The Mud Man is a fast-paced thriller laced with horror and dark humor that explores what it means to be human, the transformative power of grief, and the fine lines between fact and fiction, man and monster. 8 Strange Stories explore the far fringes of outer space and the dark depths of the human soul, workplace terror and blasphemous horror, murderous cannibals and immaculate birth, vengeful robots and guardian angels. Includes a bonus story, “The Ballad of Smoke,” an excerpt from Rob Errera’s novel, Hangman’s Jam. Some songs stick in your head. Others consume your soul. A song called “Hangman’s Jam” opens the doorway between dimensions. But what nightmarish monstrosities lurk beyond the threshold, waiting to break on through? 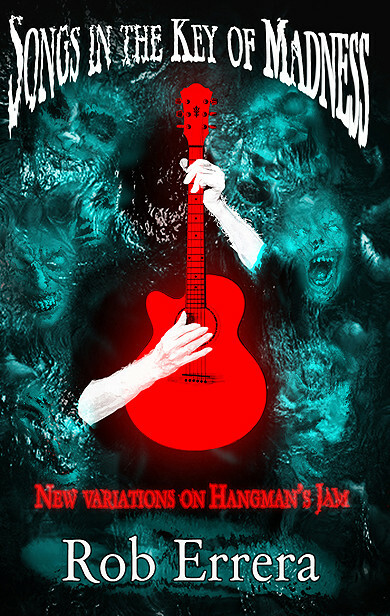 Some songs demand sacrifice, and Hangman’s Jam is a symphony of murder and madness. Hangman’s Jam never dies! A song crawls through time, shredding holes between the dimensions, and spelling doom to all who fall under its undeniable sway. Throughout the ages, lovers and losers, the famous and the infamous, have been consumed by the “song with a thousand names.” Chaos, madness, and monsters lurk behind every note and phrase. You’ve heard this tune. You know it by heart, and it knows the dark secrets that lie in yours. Teenagers with autism need life skills and job training. 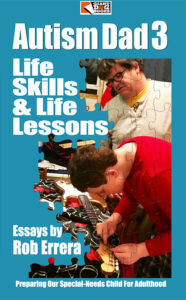 Autism Dad 3: Life Skills & Life Lessons—Preparing Our Special-Needs Child For Adulthood is a personal memoir told with humor and grace that looks at the unique challenges facing special-needs children transitioning into young adulthood. This collection of essays not only details a father’s take on raising a special-needs child, but tells the story of a family shaped by the everyday challenges and rewards of raising a child with autism. The adventures of Autism Dad and Boy Rocco continue through the pre-pubescent years (age 8-12), leaping over autism’s ever-changing obstacles, while stumbling through life’s major milestones. Autism Dad and Rocco—along with Precocious Little Sister and Super Mom—tackle everything autism, from diagnosis to family dynamics, with grace and humor. Autism Dad 2—‘Tween Edition is a testament to the healing power of love, and the unbreakable bond between a father and his extraordinary son. Autism is a complex puzzle … but Autism Dad has a clue! Funny, informative, poignant, and engaging, Autism Dad explores the initial devastation of an autism diagnosis, the autism/vaccine controversy, autism in the media, education, therapy and treatments. Above all, Autism Dad is about living with, raising, and loving a child with autism, told from a father’s perspective. Funny and poignant, Santa’s Little Helper Wants To Eat Your Children & Other Holiday Musings is a collection of holiday-themed essays and recollections from award-winning writer Rob Errera that looks at the family, friends, feasts, fantasy, and folklore behind the modern American holiday season. Grab a mug of something hot, and curl up for a cozy yuletide ride through decorating disasters, family freak-outs, and child-eating monsters. Santa’s Little Helper Wants To Eat Your Children & Other Holiday Musings includes bonus essays about New Years, Thanksgiving, Halloween, and Independence Day, digging into the history and traditions of these classic American celebrations. $3 digital edition (mobi) READ FREE WITH KINDLE UNLIMITED! Through poetic verse, Visions of Clarity serves an autobiographical reflection upon a decade in the author’s life. The author fuses raw and personal experiences with thoughts inspired by such poets as David Lerner and Sharon Olds. Each poem allows the reader the opportunity to witness the author’s growth-both as a person and as a writer-through intimate conversations about life, death, love, relationships, and everything in between. Free Stuff! Essential Knowledge! Join Now!